Meso-Iridium is a true colloidal iridium mineral supplement and has the highest particle surface area for maximum effectiveness. Meso-Iridium is an all natural mineral supplement in the form of an iridium colloid consisting of nanometer particles of 0.998 pure iridium suspended in pure deionized water. Meso-Iridium is a true colloid and consists entirely of nanometer size metallic particles iridium and no iridium ions. 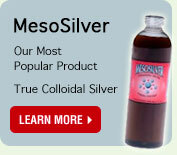 Purest Colloids, Inc. is the exclusive worldwide producer of Meso-Iridium. Iridium is one of the six platinum group elements and is one of rarest elements found on earth. The biological values of Iridium, and other members of the platinum group of elements, are just now beginning to be realized thanks to breakthroughs in high-temp chemical analysis techniques. Forms of Iridium, and its twin Rhodium, are now thought by some researchers to account for some 5% or more of the dry weight of the brain. They apparently perform essential tasks as superconductors in a sort of nutrient-of-consciousness role. Concentration: 10 ppm (minimum) of iridium nanoparticles. 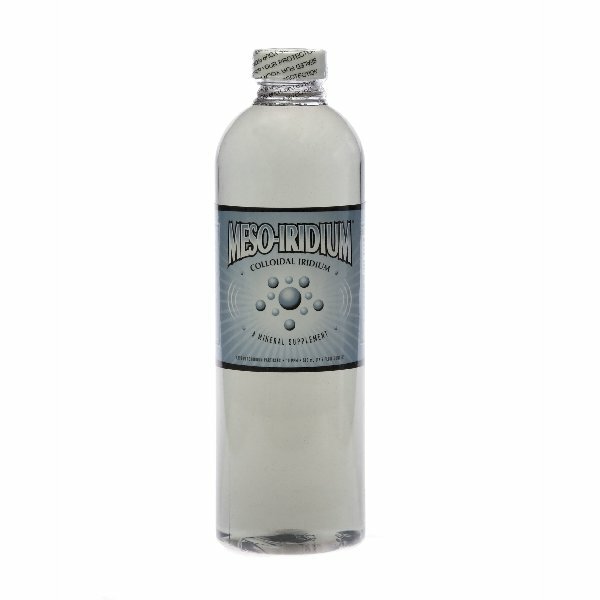 MesoIridium is manufactured in an FDA registered facility, contains only pure water and pure iridium and is non-toxic. See Material Safety Data Sheet (MSDS). You should not use this product if you are allergic to iridium! Allergic reactions to iridium, while not unheard of, are uncommon. Someone having an allergic reaction to iridium would not be able to handle a metallic iridium object such as jewelry containing iridium without causing an allergic reaction. Those who are uncertain if they are allergic to iridium should apply a few drops to the back of the hand to see if an allergic reaction results. If you do not see a reaction within 30 minutes you can be fairly certain that you are not allergic to iridium. The dosage for Meso-Iridium is typically one teaspoon (5mL) daily to help maintain health. Up to one tablespoon per day may be taken to help fortify the immune system when needed. Actual dosage will vary based on individual needs. It is recommended that Mesoplatinum be taken when using this product for best results. MesoIridium is clear light blue-silver colored liquid. There is no noticeable turbidity (cloudiness).